What makes Social Media Marketing finger lickin’ good? Imagine this: you’re finally at the BBQ place you’ve been wanting to go to and you order those ribs you’ve been craving. The wait has already been a few minutes but that’s OK because you are willing to be patient. The hope that these ribs are going to be amazing keeps you pretty tolerant. They are finally brought and placed on the table and the site of them is good. It causes your mouth to water. Now the moment comes to take that first bite. It tastes good, oh so good. Soon every piece is gone and then the end has come. The deciding moment, the moment of truth has come. 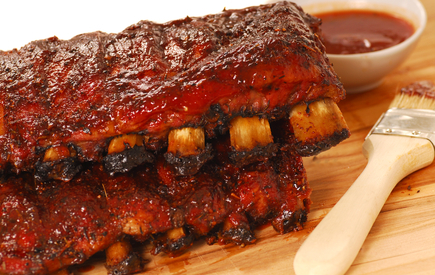 Are these ribs so good you want to lick your fingers clean? Are these ribs “Finger lickin’ good”? Wouldn’t it be great if we could create content that our readers, customers, followers, etc would love so much they would saver it even after they’d read it? How can we make our content “Finger lickin’ good”? Well, it’s a process and you might be concerned about loosing followers along the way. But it can be done without loosing a single one! Let’s go over this process and what you can do. People love eye candy. Make sure you social site/blog catches the eye of the visiter. Nothing can kill the mojo for your site faster than when it looks bland or boring. Make sure you have a good looking font, pic, video, and or setup to your site. Stay true to who you are and to your message. Make sure you send the right message for you and your company. Find your niche and stick with it. Another killer is people’s patience. Most people aren’t willing to wait around unless you have a good reason for them too. Every good restaurant has appetizers or at least free chips and salsa, or rolls (mmm Texas Roadhouse rolls the best). So we need to have content appetizers for our followers. If you don’t have content appetizers, you better make sure your content entrée is so good that appetizers aren’t even something that crosses visitors’ minds. So you have brought people this far and to deliver anything less than awesome would be dropping the ball. Your presentation is one of many keys to successful content. Have you ever been at a conference and went to a panel about a subject you loved and by the time it was over you wondered why you loved it in the first place? You know you have. What we want is to have a panel that people are drawn to, even without knowing what it is, and, by the end, sign up for everything they can! A panel like this is delivered with passion and love for the subject at hand. Even though people didn’t know what it was at first, because of the speaker’s enthusiasm they fell in love with the subject as well. So make sure you love you subject and that people can feel your enthusiasm even through the internet. Present it in a way that will make people want to come back for more, thus leading to conversions. Is your content on this level? Do your followers want to lick the screen because your content is so good? What can you do to make it that way? Find your niche group, have a love for the subject, (I mean really love the subject) and then create original content that this niche group has never seen or heard, something that they crave to see. When people see your excitement for the subject, they will become excited themselves. So love what you do, and people will love it too.